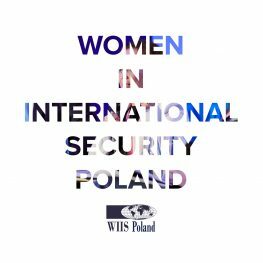 The inauguration meeting of Women in International Security Poland (WIIS Poland) will take place on 20th of March 2018. WIIS Poland is a Polish affiliate of the global organisation which goal is to support professional and academic development of women in fields of security and international relations. Inauguration will be hosted in Senate, higher chamber of Polish parliament, and the guest of honour will be Minister Anna Maria Anders, Secretary of State in the Chancellery of the Prime Minister and Plenipotentiary of the Prime Minister for the International Dialogue. Activities of WIIS Poland are conducted by Casimir Pulaski Foundation. WIIS Poland organises its activities along the main aim which is creating possibilities for women to advance in their careers via attending workshops strengthening leadership skills, using mentoring and networking tools that allow them to obtain new contacts. Organisation focuses also on supporting academic projects and initiatives that allow women to become more involved in the field of security. Among the activities foreseen for 2018 there are i.e. workshops in embassies and visit to the NATO headquarters in Brussels. Inauguration will be an occasion to discuss the programme framework that will be introduced by the President of the Board of Casimir Pulaski Foundation Zbigniew Pisarski and Director of WIIS Poland dr. Beata Górka-Winter. The meeting will also provide a chance to talk about the plans of WIIS Poland for 2018. Attending the meeting is open to WIIS Poland, as well as non-members, although the number of seats is limited and the priority will be given to the organisation’s members. To become a member of WIIS Poland, visit our website at www.wiispoland.eu/czlonkostwo/ and register.